When you have a horse, you naturally want to provide the best of horse care. Good nutrition, regular attention, grooming and exercise go a long way toward keeping your horse healthy and happy. Regular veterinary exams, deworming your horse with a good dewormer, and a comprehensive schedule of vaccines are also essential. Unfortunately, even these good horse-keeping habits may not entirely protect your horse, and he or she may occasionally suffer a bout of illness. If you know your horse well, you will be able to recognize early signs of ill health easily, but it’s good to be aware what to be ready for. In this article, we will describe some of the most common equine maladies for the most popular horse breeds and provide good advice to help you recognize and deal with them. We will also share information to help you establish a regular schedule of essential vaccines. Read on to learn more. Degenerative Joint Disease (aka: DJD or osteoarthritis) is a common malady for all mammals. This ailment is caused by wear and tear on the tissues of the joints. With age and use, the cartilage which pads the joints wears out causing bone-on-bone friction. This is very painful and may cause lameness in horses. 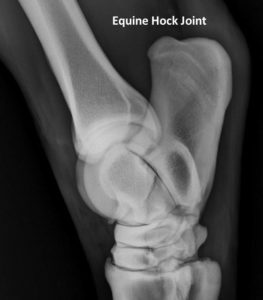 If you notice that your horse’s joints are hot, stiff and/or swollen, arthritis may be the culprit. Injury can also cause these problems. Consult with your veterinarian for an accurate diagnosis. Begin with a diet that helps your horse maintain a proper weight and includes plenty of omega 3 fatty acids (e.g. flaxseed oil). Talk with your vet about adding specific joint supplements to the diet. Your vet may also recommend oral anti-inflammatory medications. Horse ice boots may temporarily relieve some of the pain caused by arthritic joints. For all creatures suffering with arthritis, regular light-to-moderate exercise is a must. Inactivity just causes more stiffness and more pain. Avoid keeping your horse cooped up in a stall. Let him out to move about freely as much as possible. Maintain a regular schedule of light riding and exercise. There is no cure for arthritis, but regular, gentle care can be very successful in controlling the symptoms. Restlessness, rolling and an inability to get comfortable are common symptoms. Your horse may turn to look at his stomach frequently. His or her pulse and temperature may increase (you would need a good horse thermometer to make sure you get the temperature right). He or she may scrape or paw at the ground. The animal may have difficulty urinating. Luckily, equine colic is pretty easy to avoid if you take care with your horse’s everyday care and feeding. Follow these guidelines to prevent colic and encourage good health. Maintain a regular feeding schedule and keep fresh water available at all times. 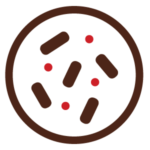 Feeding smaller meals a couple of times daily is preferable to feeding one big meal. Make any changes in feed gradually. Establish a regular schedule of wellness checks with your farrier and your veterinarian, and be sure all vaccines are up to date. Have teeth checked on a regular basis and floated as needed. Maintain a regular schedule. Horses like routine and become stressed when things happen in an unexpected, haphazard manner. Feed at the same time every day, and do so in a calm and unhurried way. Be sure to call your vet right away if you believe your horse may have colic. While waiting for the vet to arrive, walk your horse quietly if he or she will allow it. If the horse wants to roll or lie down, don’t force the issue. Keep a clean establishment. Muck out stalls and pick up manure in paddocks on a regular basis. Another common stomach problem is gastric ulcers. These are very painful erosions of the stomach lining. The pain can be severe and can cause changes in your horse’s behavior, appetite, performance and even appearance. If your horse has a gastric ulcer, he may go off his hay because the coarse fibers may scrape the ulcerated tissue resulting in pain. Ongoing pain may cause colic and rumbling in the stomach after eating. Over time, constant pain may cause your horse to become irritable or subdued. His performance may change because moving about can cause stomach acids to splash, resulting in pain. Just as in humans, ulcers in horses are often caused by stress. A regular routine of exercise, care and feeding can go a long way toward minimizing stress. Make changes gradually to prevent stress. Regular down-time to stroll about, graze and socialize with other horses is also very helpful. Be certain that your horse’s pasture-mates are compatible with him or her. Bullying can cause extreme stress. 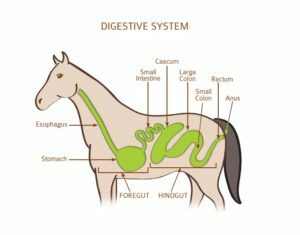 If you suspect your horse may have a gastric ulcer, you must consult with your vet. A positive diagnosis can be made via gastroscopy. This sort of examination allows your vet to use a scope to see the inside of your horse’s digestive tract. Based on the results of this exam, your vet may make specific dietary recommendations. He or she may also prescribe the medication, Omeprazole, which usually renders excellent results within a month or so. Sore feet and tender-footedness are indications of laminitis. This condition is the result of inflammation of the soft tissues inside the hooves. 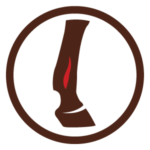 If your horse has laminitis, you may notice lameness in one or more feet. The hooves and lower legs may feel hot, and digital pulses may be high. In very severe cases, your horse may not be able to stand. To prevent laminitis, you must maintain a regular feeding schedule of appropriate feed. If your horse’s diet is too rich, it can lead to obesity and high blood sugar levels. This is what causes laminitis. In older horses (age ten or more) Cushing’s disease may also be involved. This can be detected with a blood test. If your horse is suffering from laminitis, recovery may take quite a while. 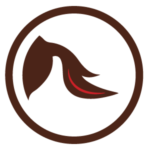 Consult with your vet and follow his or her recommendations for diet, exercise, stall substrate and supportive shoes or boots. Horses can catch colds and flu just as we can. 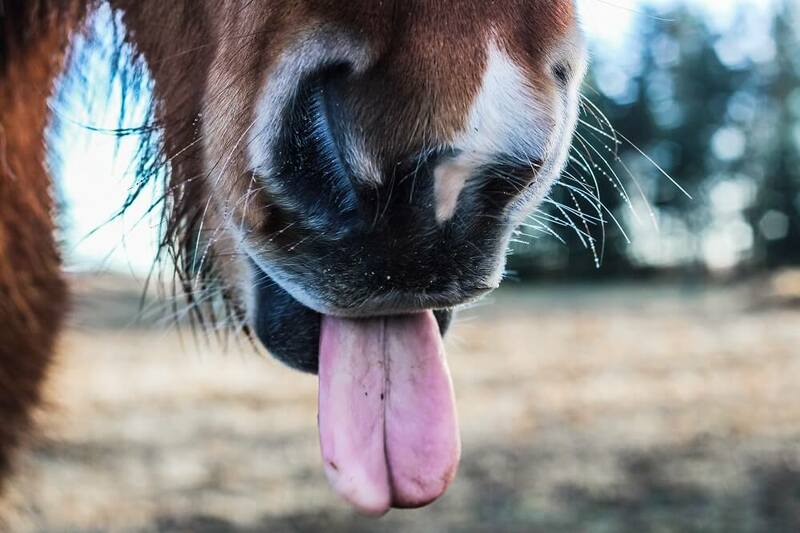 If you notice any unusual discharge from your horse’s nostrils, you should call your vet. If your horse has a cold, he or she may also have swollen neck glands and a bit of a fever. Just as with people, horses catch cold from others. They are more likely to catch cold if kept in crowded conditions and/or in poorly ventilated quarters. Inadequately maintained quarters and/or a poor diet will also predispose your horse to colds and other ailments. If you show your horse or participate in rodeo, trail rides or other group activities, be sure your horse’s vaccines are current. Avoid contact with any horse who may be ill, and don’t allow your horse to drink from common drinking troughs. Instead, bring your own bucket and either fill it with fresh water from a spigot on site or bring your own water. If your horse does catch a cold, isolate him and call your vet right away. You can provide some comfort by soaking hay and making a hot mash of your horse’s feed so that it will be easier to swallow and will provide much-needed hydration. Your horse may also develop a cough without a cold. Horses can suffer from allergies just as we do. If your stable is very dusty, or if the bedding you use is dusty, this can cause a hacking cough. Be sure that your horse’s quarters are clean and well ventilated to avoid allergic reactions. It is also important to feed clean, mold-free hay. Make sure your hay is fresh and does not contain dirt and debris. Moldy hay is completely unacceptable. Slightly dusty hay can be improved with soaking and rinsing. Coughing in horses may also be caused by viruses or bacteria. If your horse is coughing, separate him from others and call your vet. Let your horse rest until you have determined the cause and resolved the problem. An ounce of prevention is always worth a pound of cure. Preventative health-care for your horse can save you a great deal of money and sorrow in the long run. Even if your horse stays at home and never comes in contact with other horses, vaccines are a wise investment in your companion’s health. Have your vet visit once a year to give your horse a complete physical and take care of vaccinations for these common diseases. Tetanus is also known as “lock-jaw”. It is caused by toxins produced by common bacterium found in soil. It enters the skin through open wounds. It often gains access through the umbilicus of a newborn foal. Additionally, your horse may stands on stiff legs in a “sawhorse” stance. Unfortunately, this disease is fatal eighty percent of the time. Most vets recommend having the animal euthanized. If the disease is allowed to progress, the muscles of the jaw and the face will stiffen making it impossible for the horse to eat or drink. Later symptoms can include staggering and paralysis. 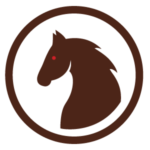 Fatality rate varies (20% – 100%) depending on which strain of the virus affects the horse. West Nile Virus is another mosquito borne disease that is carried from birds and other animals to horses. 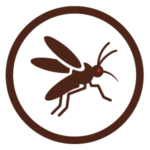 The symptoms of this virus are similar to those of sleeping sickness, but the recovery rate is better. Some horses have recovered fully or partially with consistent treatment and therapy. 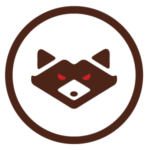 Rabies is transmitted through bodily fluids such as blood and saliva. It is usually transmitted by a bite from a rabid animal (e.g. a skunk, dog, cat, coyote, raccoon, etc.). The virus affects the central nervous system, resulting in brain damage, behavior problems, aggression and excessive salivation. A rabid horse can transmit the disease to humans and other animals through a bite. There is no treatment for rabies. It is 100% fatal. EHV-1 can also cause miscarriage in pregnant mares; death of young foals, paralysis and neurological problems. Pregnant mares should receive a special vaccine designed to protect against miscarriage. Influenza is an airborne virus that is very common, especially among horses that are frequently exposed to others. As discussed above, consistent care can help keep a horse’s immune system strong to resist colds and flu. There is also a vaccine available for even greater protection. Strangles is a very contagious bacterial infection. It is transmitted by bodily fluids, but it does not have to go directly from one animal to another. The bacteria remain alive for long periods of time on surfaces such as stall walls, fence railings, bits, feed dishes, etc. Strangles is not usually fatal, but it does cause painful and troublesome symptoms including abscesses in the lymphoid tissues of the upper respiratory tract. 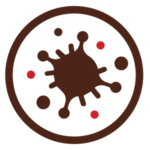 Also, if you delay its treatment, complications such as a very serious condition called Purpura hemorrhagica may set in. It’s easy to see that all of these common ailments could cause you and your horse a great deal of grief. Luckily, there are vaccines available to prevent all of them. When you have a horse, it’s important to understand that you must be ready, willing and able to prevent and treat any ailments or injuries that may occur. It may also be a good idea to create your own horse first aid kit and have it always ready in your barn and saddlebag. Prevention through proper care and vaccines can cost a pretty penny, but illness and injury can cost even more. It’s always wise to set aside a budget to cover unexpected equine expenses. Equine health insurance is also a very good idea. It looks like a horse can get quite sick. I would hope that I would be able to tell if my horse is acting strange and able to call for help before it got to be much worse.